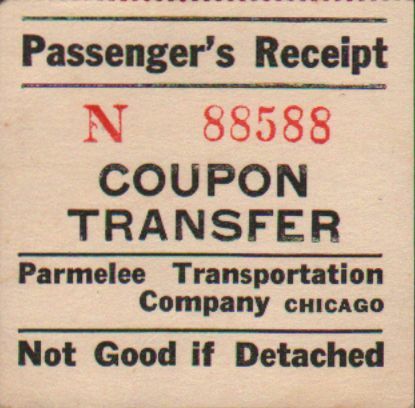 Description Passenger's receipt from a Coupon Transfer issued by the Parmelee Transportation Company in Chicago. 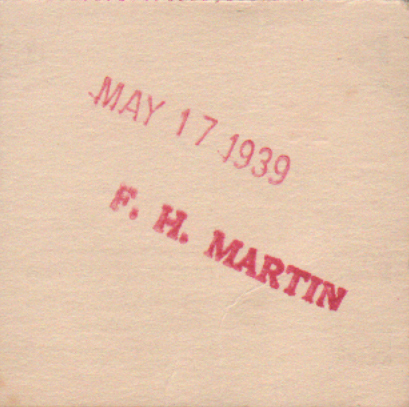 Stamped May 17, 1939 F. H. Martin. Parmelee specialized in transferring passengers between the numerous railroad stations in Chicago, IL.